The Dublin City Council voted on Monday in favor of flying the Palestinian flag above city hall in a show of support for the nascent state of Palestine, according to the Irish Times. City Councillor John Lyons proposed the move in part as a means to observe the 50-years-and-counting Israeli occupation of traditional Palestinian lands seized during the 1967 Six-Day War. Raising the Palestinian flag, he said, also serves to support those living under a repressive Israeli regime that consistently employs a form of "apartheid worse than South Africa," on its minority population. The motion was protested by Israeli Ambassador to Ireland Ze'ev Boker, who warned that the "highly politically charged" display would be interpreted as one sided, while acknowledging the history of the country toward the downtrodden. "Dublin has a long and proud tradition of welcoming new communities, and I know of many Israelis who have come to Dublin for work reasons and decided to stay," Boker commented to the Irish Times in an email. 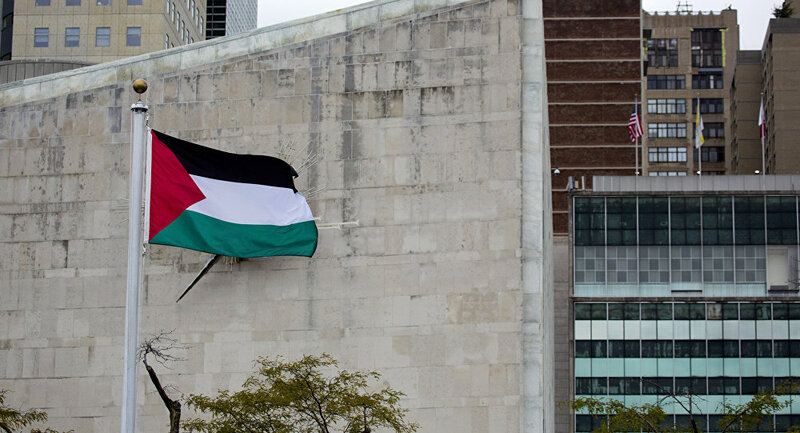 The motion to fly the Palestinian flag was passed with 42 councillors in favor and 11 against. There were seven abstentions. After the motion passed, Lyon commented that he trusted the world would understand that the Palestinian people were living under a "brutal Israeli occupation," and that steps must be taken to end the practice of endemic repression by Israel. "I think it's opening more people's eyes just to the actual reality of the daily life of Palestinians living under occupation, which is a brutal life, really," Lyon said.